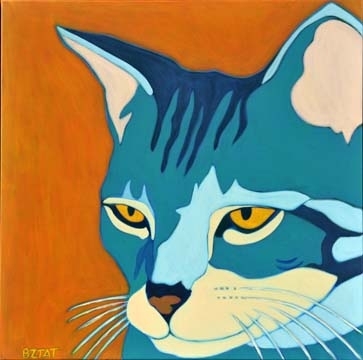 Artist BZTAT is world renown for her Premiere Contemporary Custom Pet Portrait Paintings. 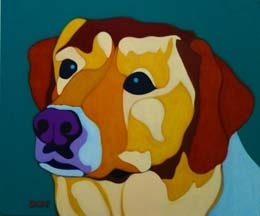 These portraits are highly customized and have won wide acclaim for their artistry as well as their unique manner of capturing the character of their animal subjects. 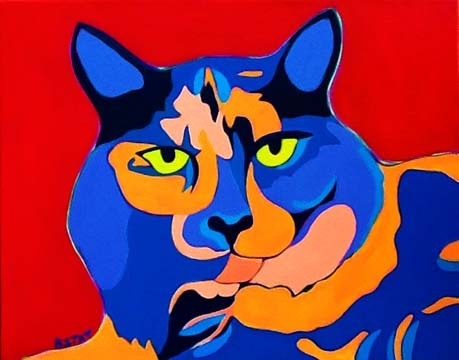 Premiere Contemporary Custom Pet Portrait Paintings are colorful interpretations that reflect the unique characteristics of your pet in a semi-abstract pop art style. 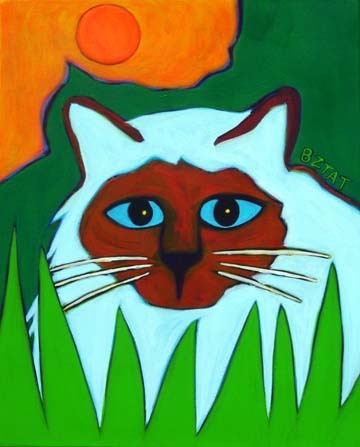 Unlike many pet portrait artists who do quick formulaic digital interpretations, BZTAT gives each painting a very deliberate personal touch. These paintings take many hours to complete due to BZTAT’s technique of layering various colors to develop her unique style. Prices according to size are listed below. 75% of the full payment is required in advance. 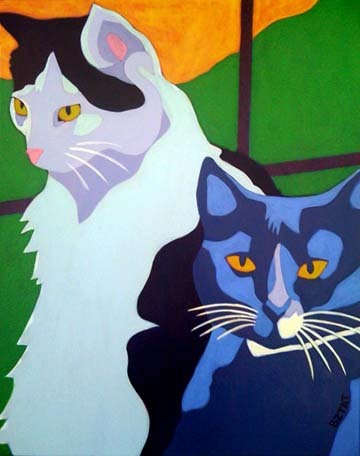 The remaining 25% and shipping costs are due once the painting is completed. 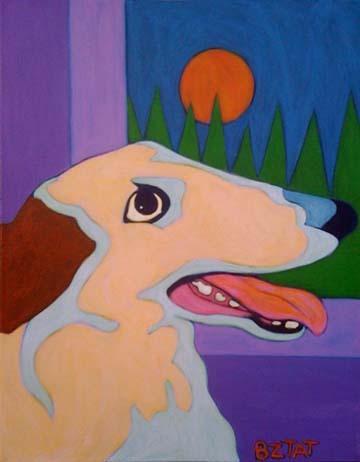 The painting will be shipped when all payments have been made. 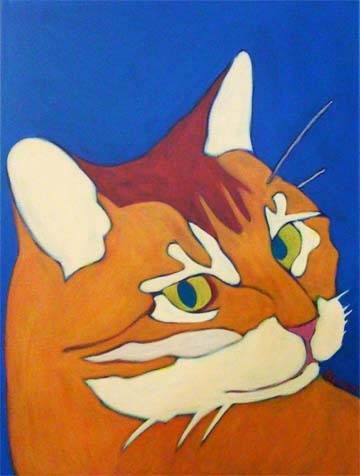 Portraits generally take 12-16 weeks to complete depending on difficulty and waiting list. Shipping costs are extra and vary according to each piece. *Note – These are my standard sizes. 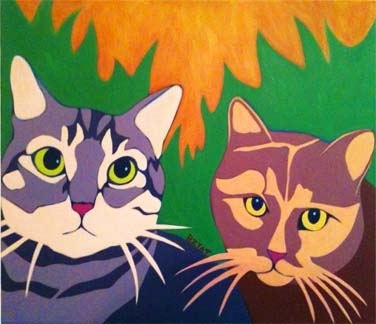 Depending on availability of canvases, I can often create to other size specifications if requested. Listed prices are for one animal in the portrait. Additional animals cost extra. 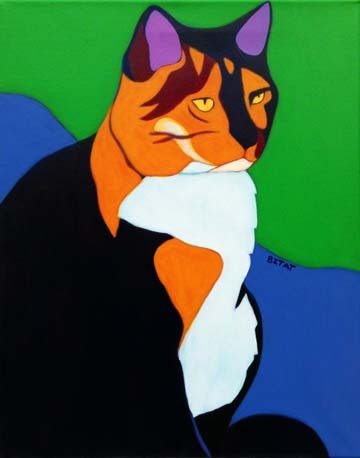 If the style or pricing of Premiere Contemporary Custom Pet Portrait Paintings are not for you, BZTAT has 3 other portrait styles that fit different budgets. 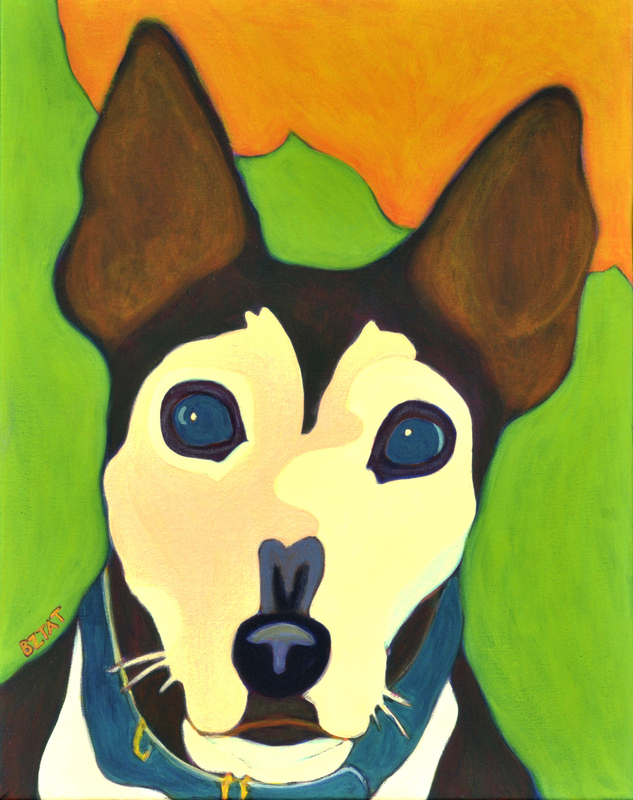 Please contact BZTAT using the form below to make an order or to get further information about ordering a custom portrait of your pet. 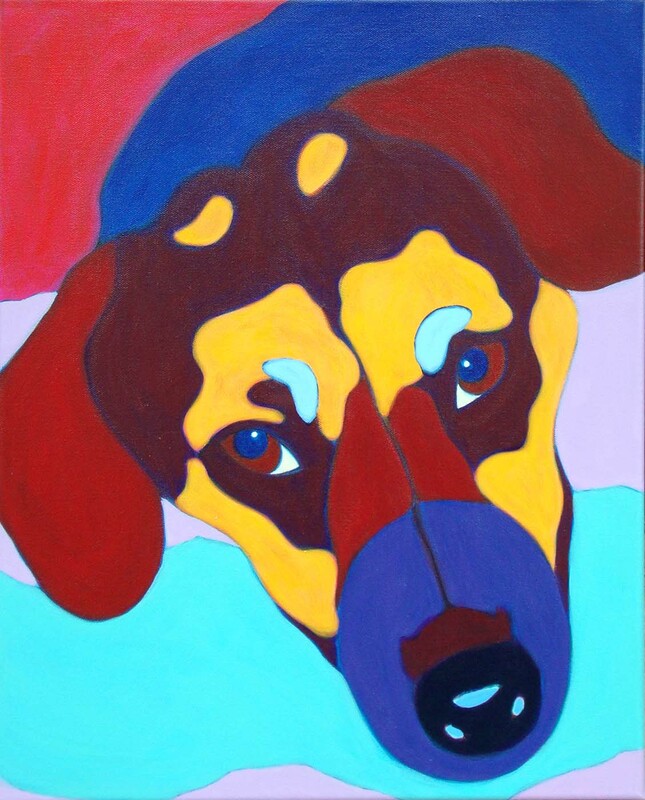 Please share a few things about your pet (breed; special characteristics; age; special moments and stories; etc. ).